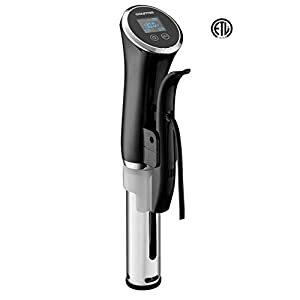 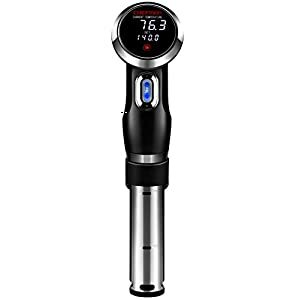 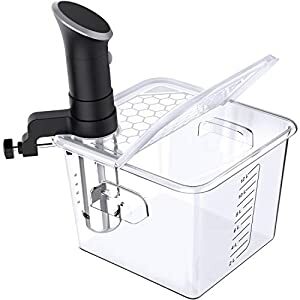 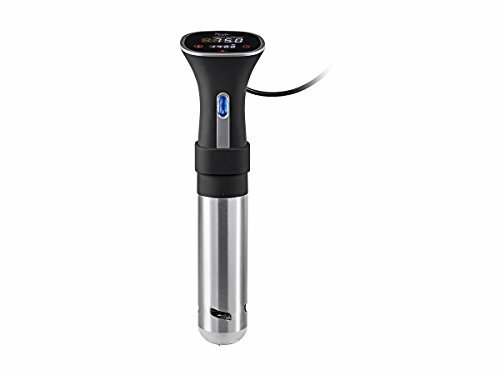 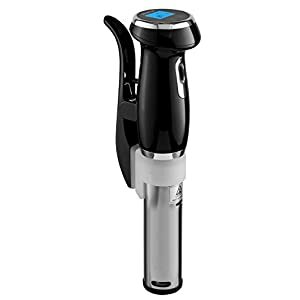 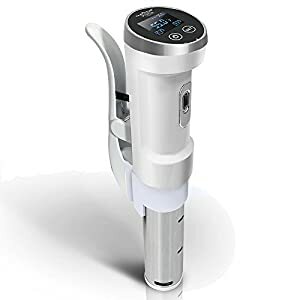 Tags: circulator, cooker machine, cooker system, monoprice, Monoprice Strata Home Sous Vide, precision cooker, Precision Immersion Circulator, sous vide, sous vide cooker machine, sous vide cooking, sous vide machine, sous vide precision cooker, thermal cooking. 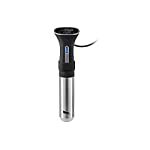 Cook food to perfection using the Monoprice Strata Home Sous Vide precision cooker! 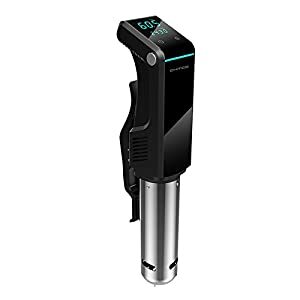 Sous vide cooking is one of the hottest new trends in food preparation. 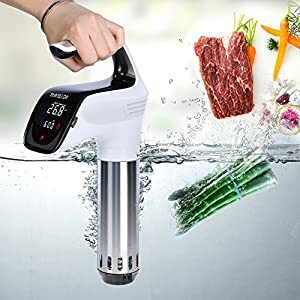 Food is sealed into a plastic bag, which is then placed in a Bath of water, which is then heated and circulated by the cooker. 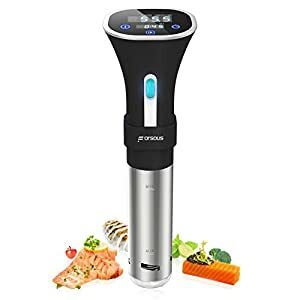 The result is food that is juicier and more tender, with all the nutrients, which are often lost from ordinary cooking methods. 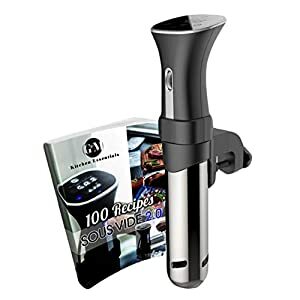 The LED screen makes it easy to set the cooking temperature and time so you can cook your favorite foods to perfection! 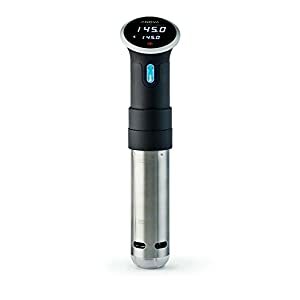 The bright and easy to read LED touch screen allows you to easily adjust the cooking temperature and time.